Book Review Who Thought This Was a Good Idea? 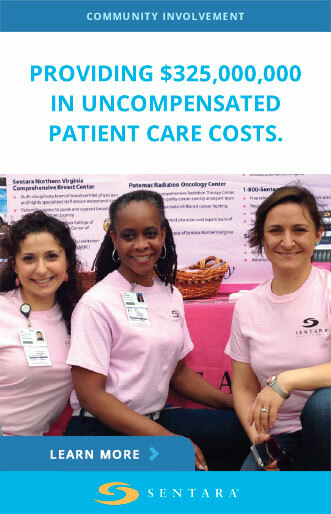 Your boss is a VIP: a Very Important Person. Born in the mid-1970s and raised in small-town Vermont, Mastromonaco says she was independent early-on and marched to her own drummer but wasn’t particularly political unless it was “cool.” Nevertheless, one summer between college semesters, she interned for Bernie Sanders and discovered what she wanted to do with her life. But first, she worked as a paralegal. She had a short stint in finance, and she worked at Sotheby’s. Finally, she practically begged for a job with John Kerry’s team, but she says she knew that she didn’t want to work for anyone who’d ever want to run for president, so she procured a job with Senator Barack Obama’s team. Ha! There were no working manuals for the youngest woman to ever assume the office of deputy chief of staff to the president. It was hard to find advice (“… all my mentors were men”) and so Mastromonaco decided to write a book in answer the question of do-ability for the average job-seeker. If you want a job in politics, “always be prepared” because “Preparation is protection you can create for yourself.” Walk with purpose; try “to look like you belong.” Before you take a job, “ask to see where you’ll be sitting.” Be “reasonable, savvy, and polite …” to the entire staff, and know as much as possible about the people you meet. Remember that “your credit score matters.” Watch what you do on social media. Take care of yourself. And finally, when it’s time to go, go … but do it with class. 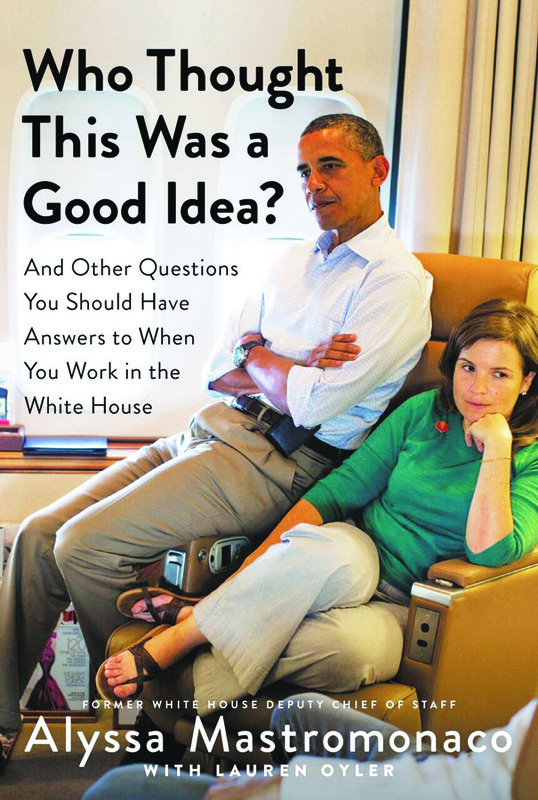 Though author Alyssa Mastromonaco (with Lauren Oyler) says she hadn’t planned on making this book a biography, that’s about half of what you get here. The other half is sass and swagger and more profanity than you should expect, mixed with business advice that sometimes hovers between the lines. “Who Thought This Was a Good Idea?” indeed. Actually, you will. 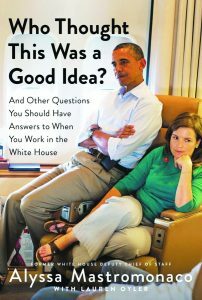 This book is a unique insider’s peek at how presidential campaigns are run, how POTUS travels seemingly seamlessly, and how one person does the 24/7 job of six. 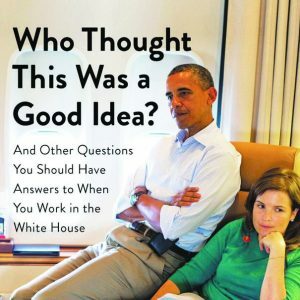 Readers with their sights set on major behind-the-scenes political employment will appreciate Mastromonaco’s truthfulness: she writes of sleepless nights and “the loneliest time of my life,” as well as the rewards of an interesting job – all of which she tells with humor and not just a little pride. This is an easy-to-enjoy book that makes readers feel more in-the-know, especially if you’re curious, business-minded, or love politics. For you, the VIP in “Who Thought This Was a Good Idea?” is in its Very Important Pages. Nic Simone's Dear Martin: "Keep Your Nose Clean and Your Mouth Shut"